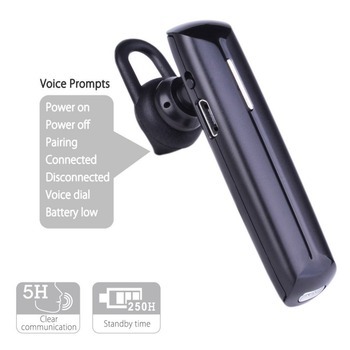 single 50-minutes full charge allows for 90 minutes music time or 8 days of standby time. 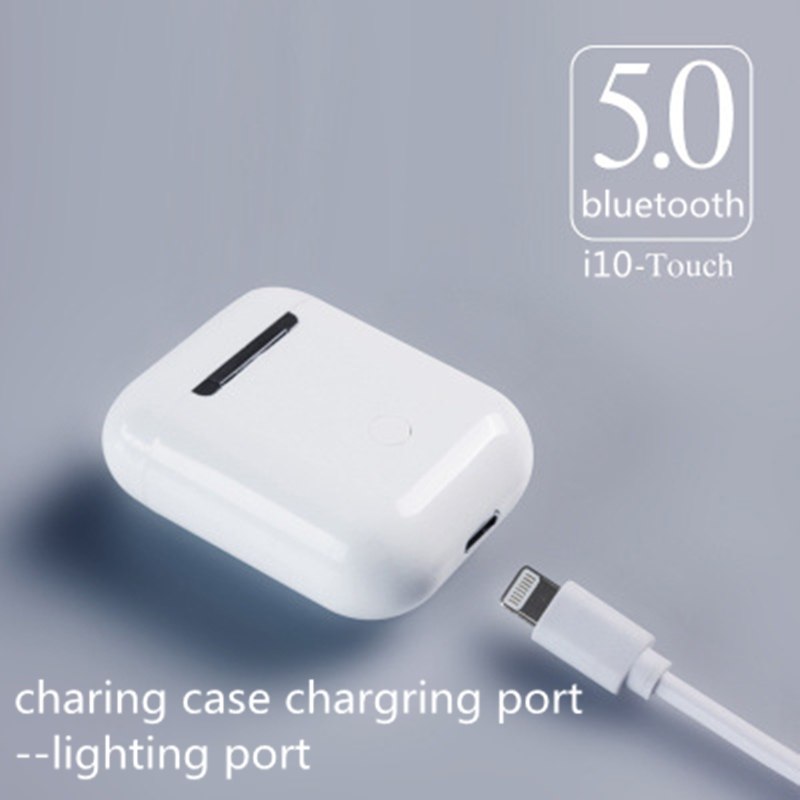 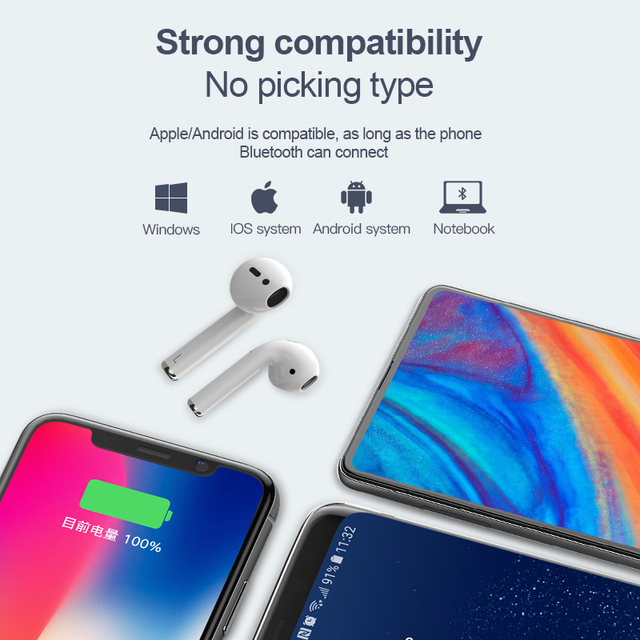 4) Fast stable Connect &Wide Compatibility :Latest bluetooth V5.0+ EDR offer stereo surround sound, faster pairing and stable connectivity. 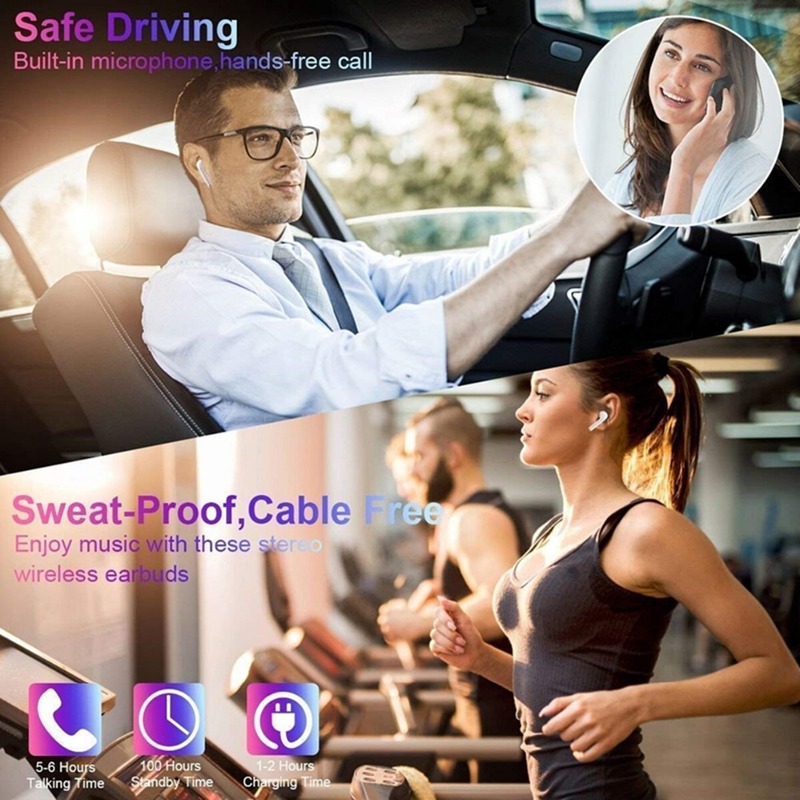 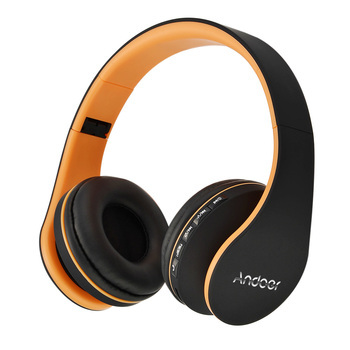 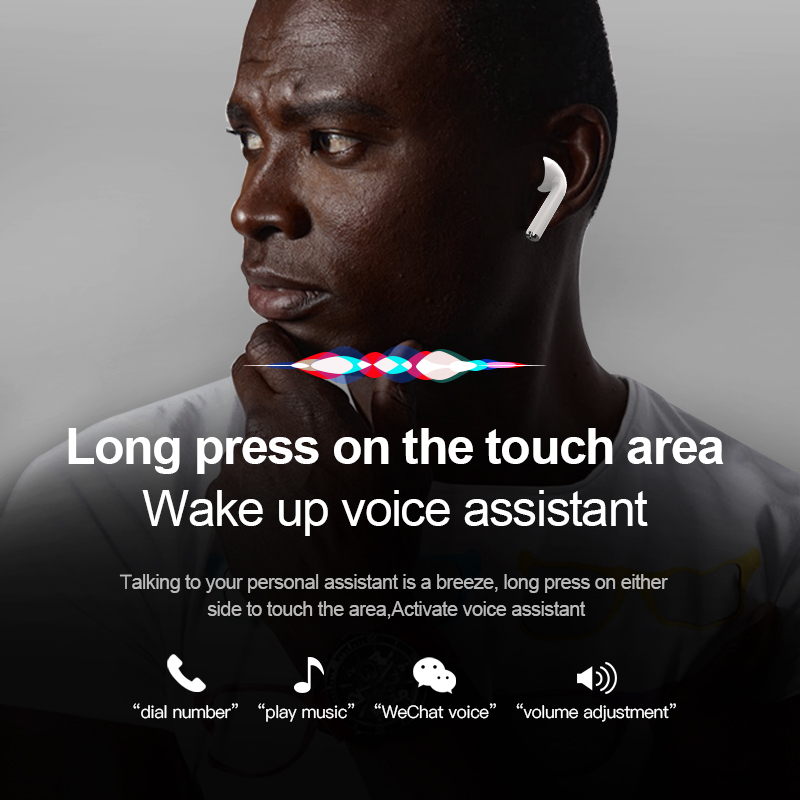 The range of use can up to 33FT.Support iOS and Android system,Noise cancellation technology reduces ambient noise and echo, enable clear sound no matter in calls or in music time. 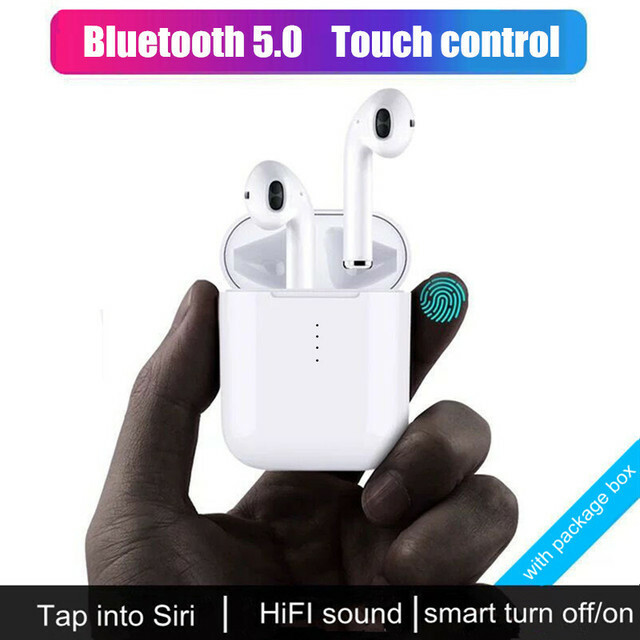 Bluetoot 5.0 to allow the earbuds to connect two devices at the same time. 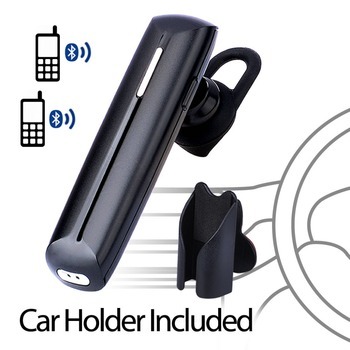 while driving or working in office, makes call easier and safer. 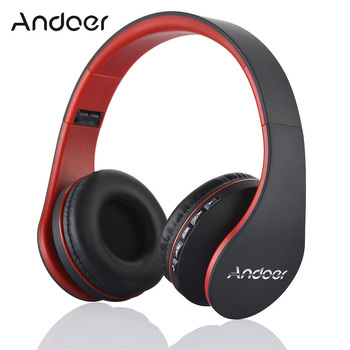 Wireless gives you more freedom and enjoy better quality wireless stereo. 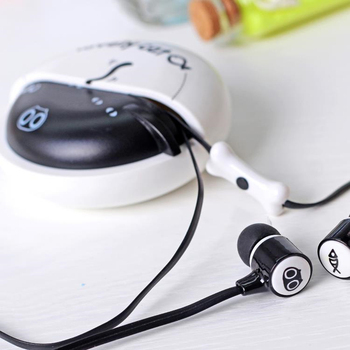 The electric power consumption of earphone can be showed on mobile phone. 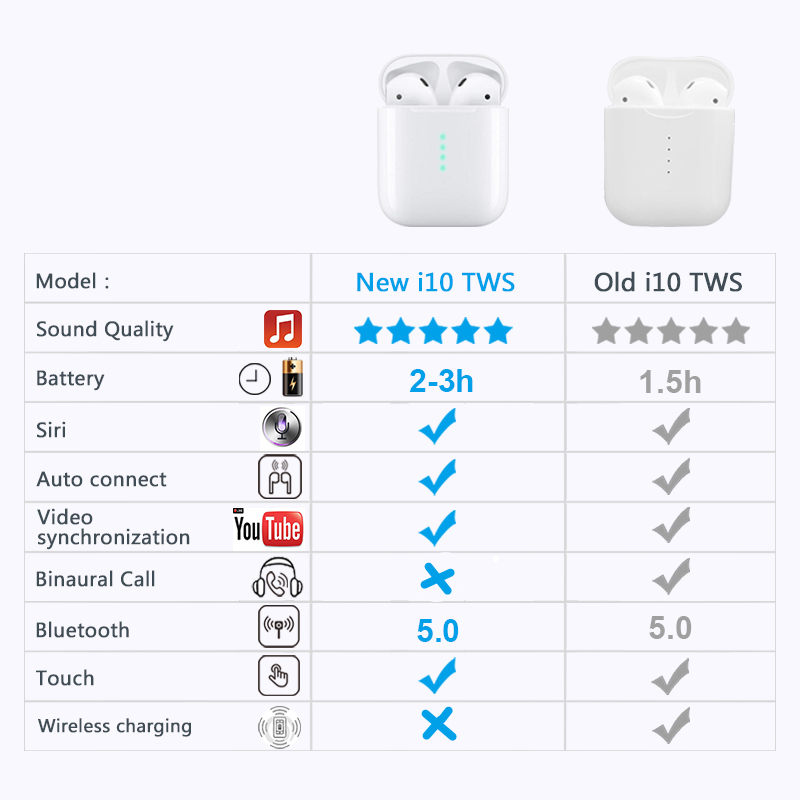 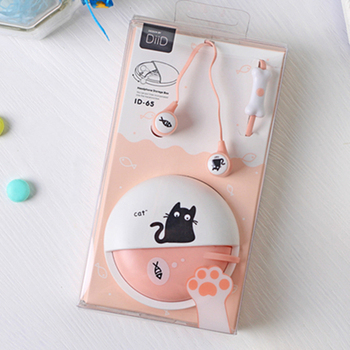 Notes:The charging box can not be charged by wireless charger and can charged with via the data cable of the lighting-port interface,Headphones do not support for binaural calls.